Quality logos and designs right at your feet. 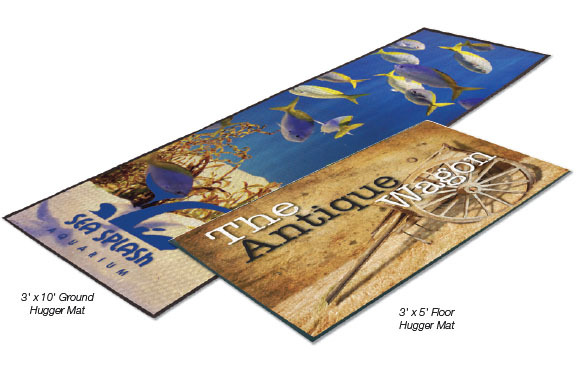 Floor Hugger Mats combine high definition printing with plush carpet, creating a unique floor mat made for indoor use only. 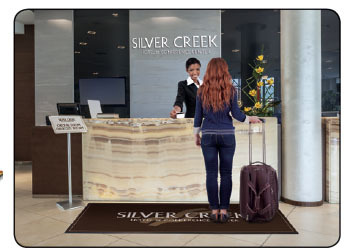 These carpeted floor mats are treated with Stainstopper™ for long lasting color. 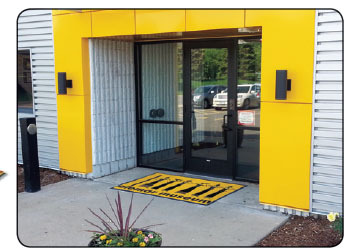 Ground Hugger Mats, made from nitrile rubber, provide photographic quality printing. These mats are UV, chemical and oil resistant making them perfect for outdoors use.